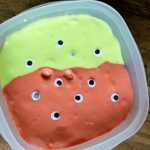 Keep scrolling to see how to make a fun Frog Sensory Bin! Hope you’re having a good day so far! 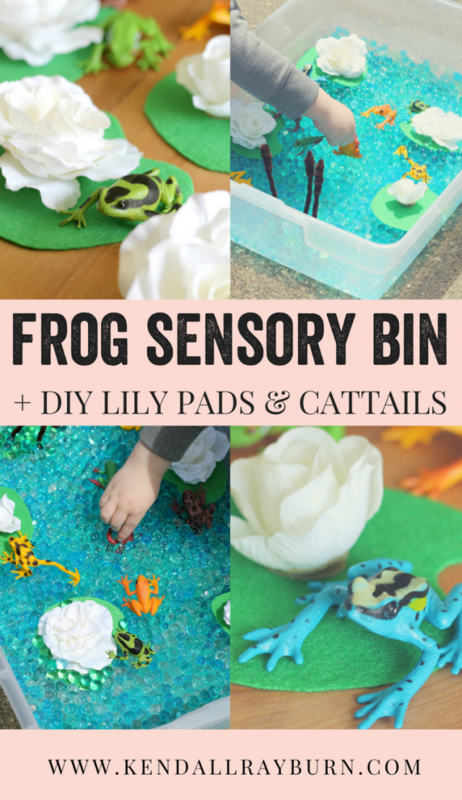 Today I’m sharing a super-fun tutorial for a Frog Sensory Bin complete with DIY Lily Pads and Cattails! 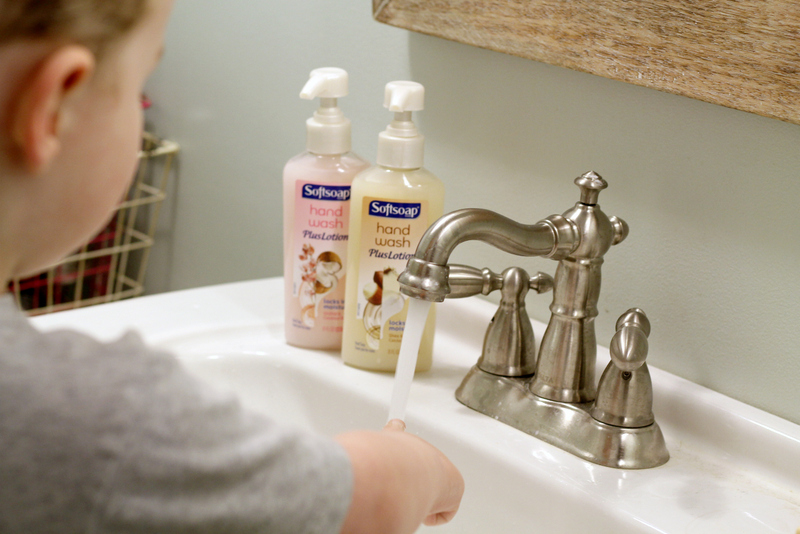 And of course, before and after playing in any sensory bin you should wash your hands – we are currently loving SoftSoap® Hand Wash Plus Lotion™! 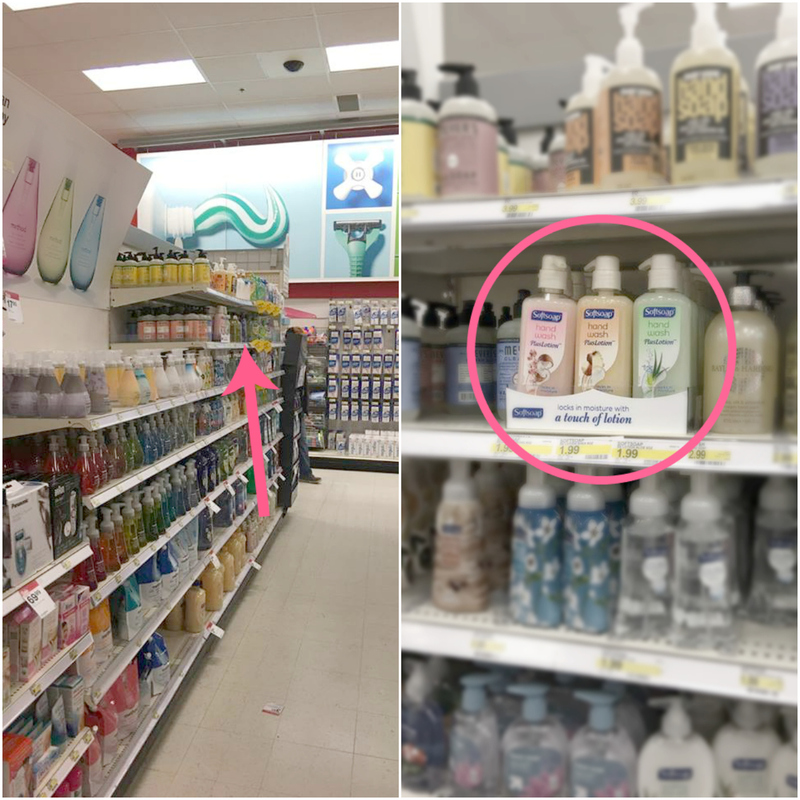 I pick it up at Target while shopping, and it leaves our hands feeling clean and soft! 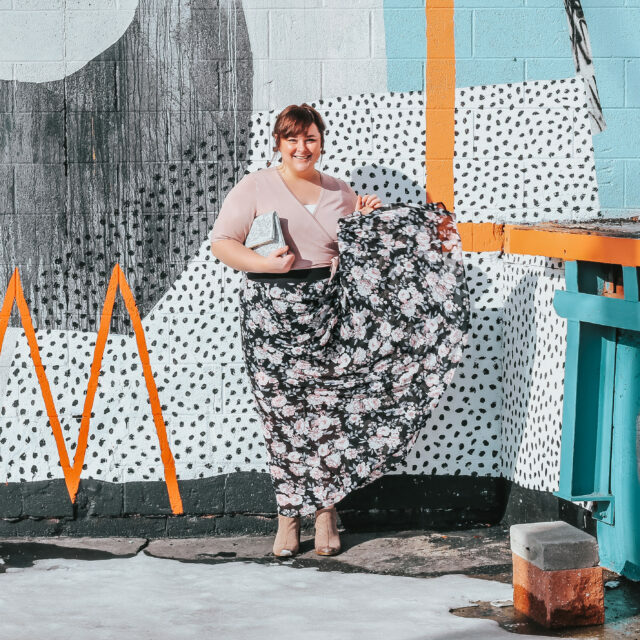 We love the Shea & Cocoa Butter and Orchid & Coconut Milk, we’re a little crazy for anything coconut around here – it’s one of my favorite scents! 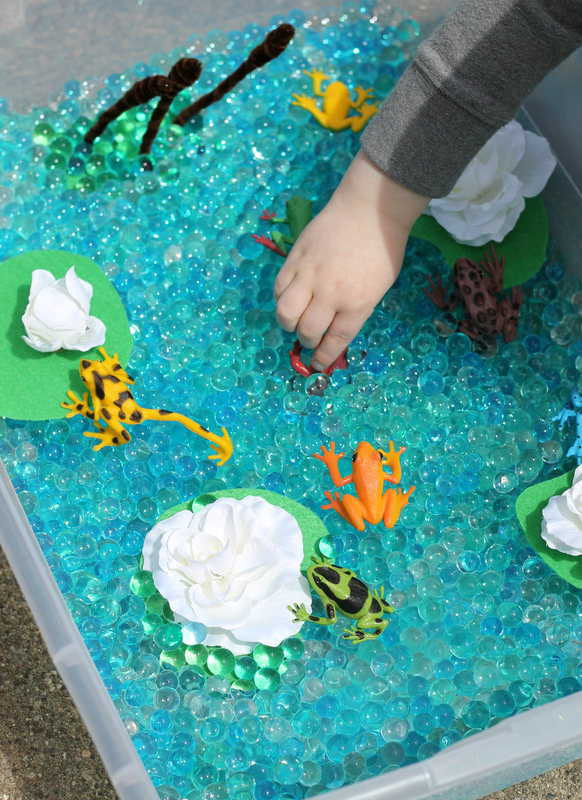 Now for our Frog Sensory Bin Tutorial! 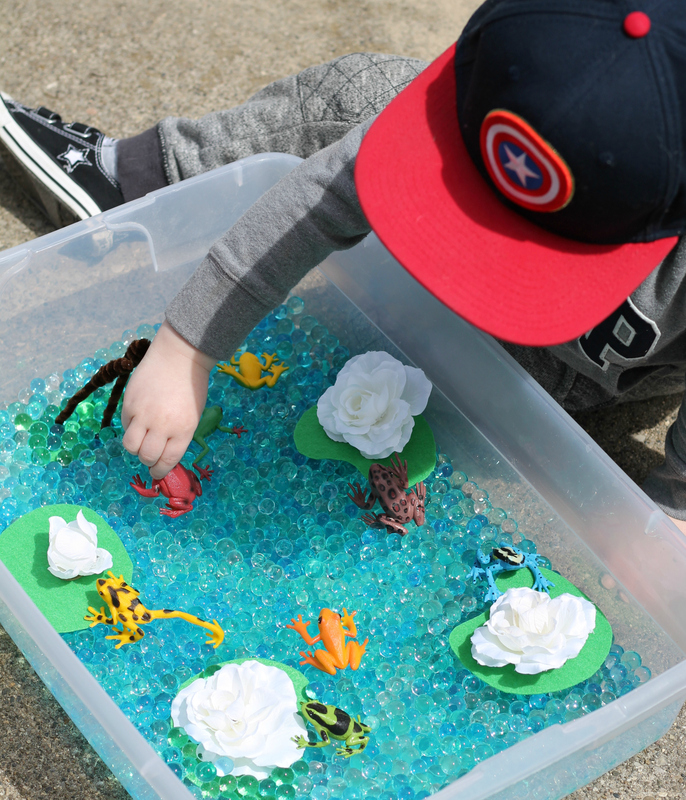 This sensory bin is one of my favorites so far because the boys absolutely love anything with an animal theme lately, so it was such fun putting this together for them! First, take your green felt piece and cut out four Lilly Pad shapes. Then, take your faux flowers and place a piece of velcro on the bottom. Put the opposite side of velcro on the Lily Pad. 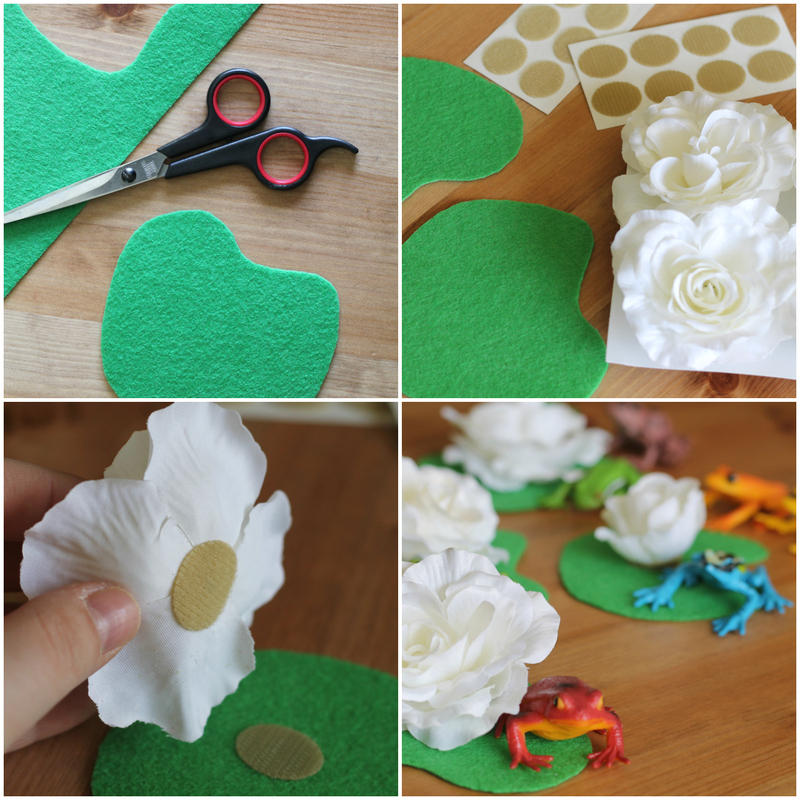 Now, you can stick the flower to the Lily Pad without using glue! Tip: Get different colored flowers so kids can interchange the flowers on the Lily Pads! My kids loved taking the flowers on and off, and switching them around. 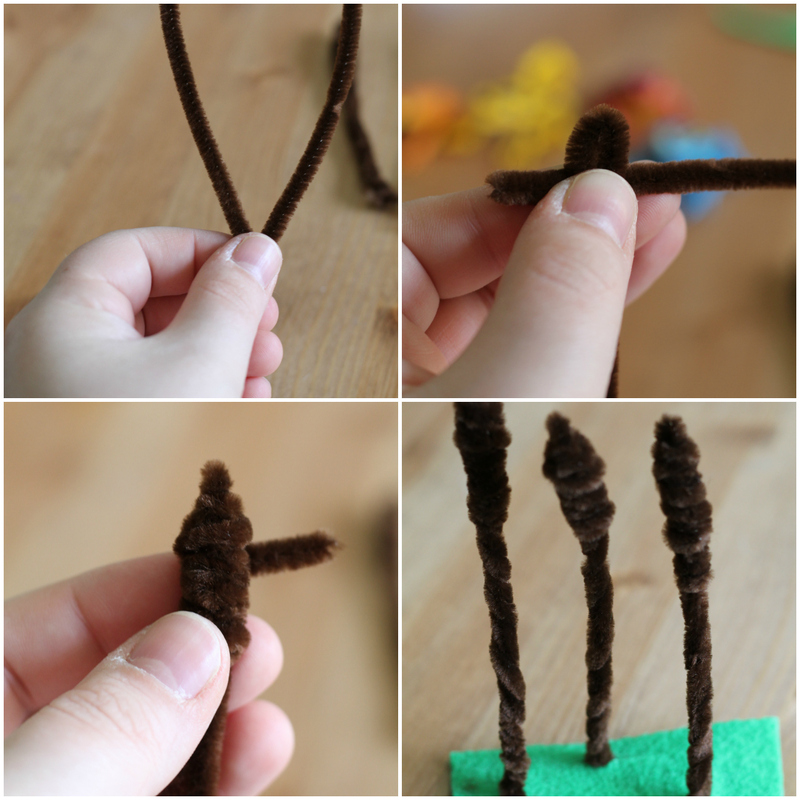 Take one pipe cleaner and bend it in half. Pinch the top of the loop so that both sides are together. Take another pipe cleaner and begin wrapping it around the top of the first. Repeat steps 1-3 until you have three cattails made. Then, cut a small rectangular piece out of your green felt scraps, and make three small 1/2 inch cuts into the felt for the bottom of the cattails to go through. Make your water beads, we used three small packages. 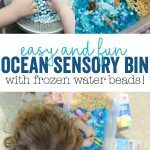 When done, pour the water beads into your large bin. Add in your Lily Pads and Cattails. 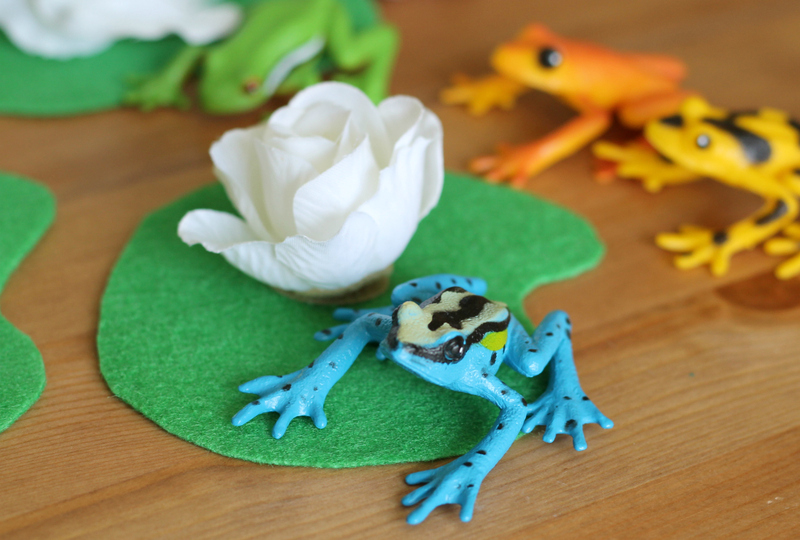 Give your kiddos a handful of the toy frogs, and watch them enjoy! 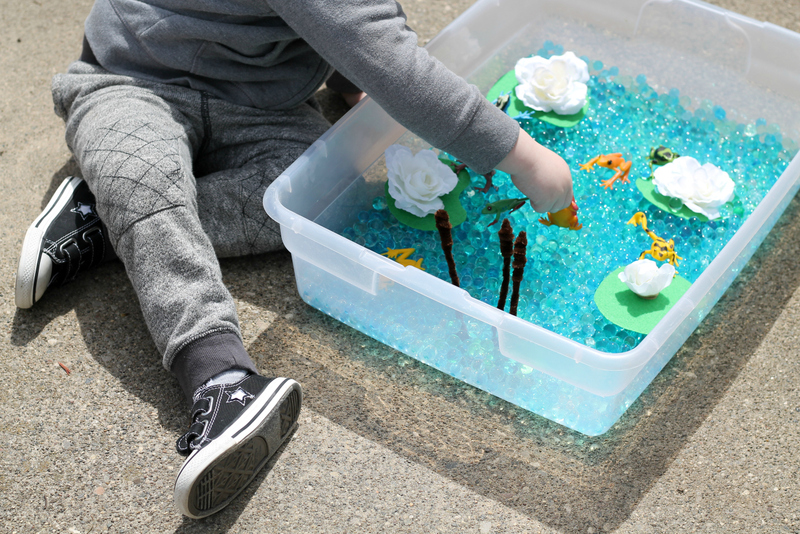 And after your kiddos are done playing with their frog bin, simply put on a lid and store it for up to a week! 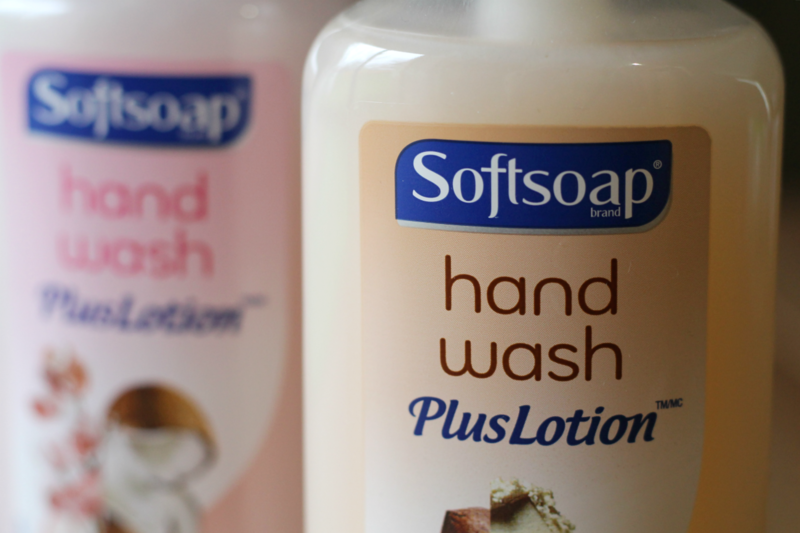 And don’t forget to help them wash their hands with Softsoap Hand Wash Plus Lotion! It’ll leave their little hands clean and moisturized ready for their next activity! 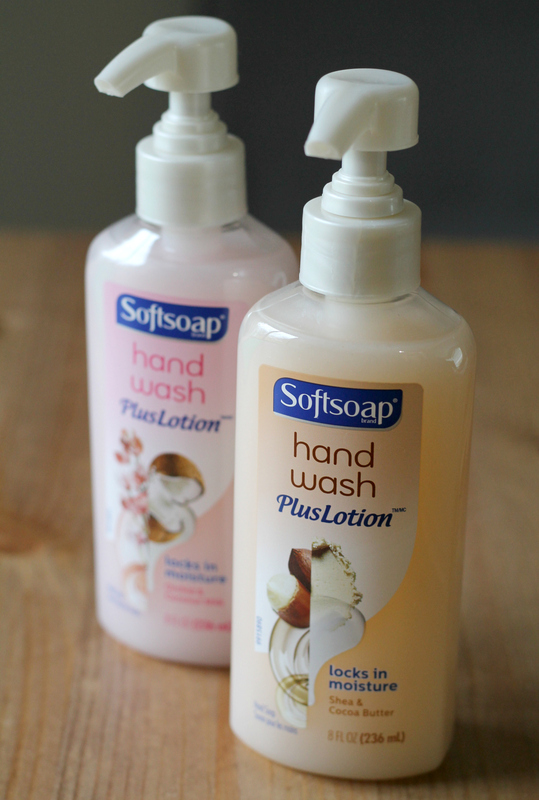 You can visit SoftSoap on Youtube here, & shop SoftSoap products at Target here. 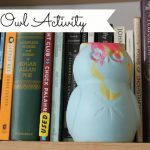 Previous Post: « Current Farmhouse Favorites on Amazon!